The annual Columbia Century Challenge is set to take bicyclists through Columbia County's lush, unspoiled forests, free running streams and breath-taking vistas on June 16. Registration for the event is open now at www.cyclecolumbiacounty.com and costs $55 per person. Participants can sign up for one of two course options, the Century plus (112-122 miles) ride or the Metric Century Plus (82-92 miles) ride. 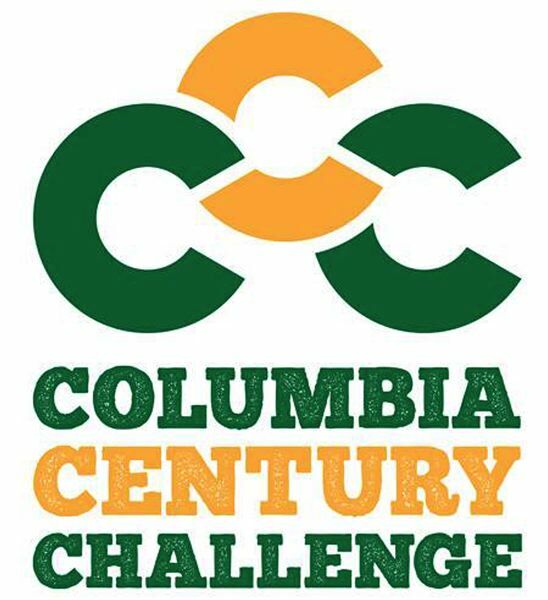 The Columbia Century Challenge, sponsored by Cycle Columbia County and NW Natural, begins at Heritage Park in Scappoose, next to Scappoose City Hall (33568 E. Columbia Ave.) with day-of-event registration beginning at 6 a.m. Returning rider Brice Moss, 39 and a St. Helens resident of nine years, explained why he was coming back to participate again this year. "It didn't take me long to notice what a variety of lush green landscapes the county offers," Moss said. "Driving the backroads is a constant pleasure and biking them much more so. Every hill you top has a new view for you to enjoy while you coast down." Cycle Columbia County, made up of a team of local cycling enthusiasts and community members, brought the idea of a century bicycle event to life in 2016. Now, in its third year, the event is a proven success, earning No. 2 best ride in Oregon in its inaugural year in the ORbike poll. "I'm back to do the CCC ... mostly for the same reason — I still can," Moss said. "I may be late for the party at the finish line, but I can do it on a 50 year-old heavy steel bike with a basket of goodies and a smile on my face." Columbia County features many bicycle-friendly backroads, from rolling roads through old timberlands to farm roads through open fields and pastures along the Columbia River. Along with the ride itself, several community events are being offered in conjunction with the event, including the Scappoose Farmer's Market and the first "Music in the Park" Summer concert (supported by the City of Scappoose and the Scappoose Community Club). There will also be food carts and a beer garden. Event organizers say they are committed to ensuring a positive rider experience from start to finish, offering a well-marked route, stocked aid stations/rest stops approximately every 20 miles, free mechanical support, a SAG wagon, communications support, free off-street parking near the start/finish, friendly volunteers and more. The goal of the annual event is to put Columbia County on the map as a prime recreational bicycling destination and to encourage travelers and avid cyclists from around the region to explore all that Columbia County has to offer. In addition, ride profits are invested in local cycling improvements, such as recent installations of bike stations in Scappoose and Vernonia. For more information and updates, visit www.cyclecolumbiacounty.com and www.facebook.com/columbiacenturychallenge.